It doesn’t take a geography genius to know that the earth is fucked. The ice caps are melting, there’s a fat hole in the ozone layer and we can’t even see Beijing anymore because it’s cloaked in a thick, yellow, poisonous layer of smog. Plus, the human species has slowly turned the ocean (our most important eco-system) into a huge pile of waste. What people often forget is that more than seventy percent of the planet is covered in water, meaning that if we destroy the ocean, then we destroy the planet too. 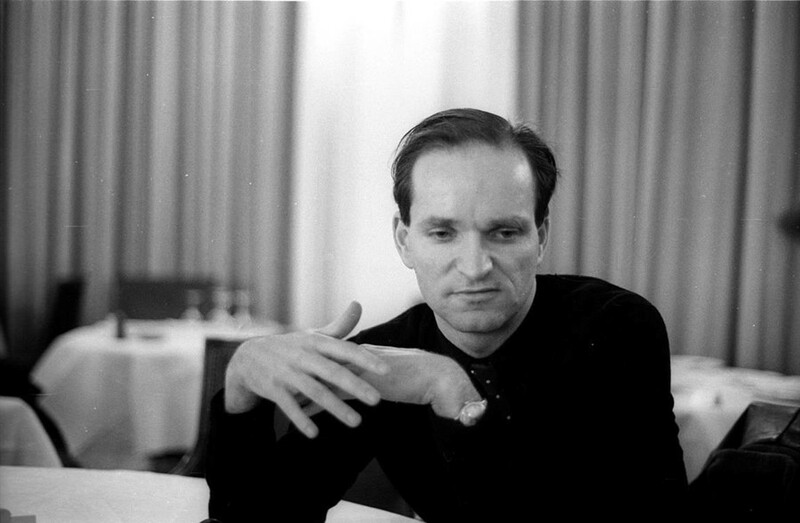 Amongst those involved is Florian Schneider, the co-founder of pioneering German masterminds Kraftwerk. As part of the project, Schneider has crafted a spaced-out, electronic ode to the oceans. Packed with blips and the rush of a synthetic wave, “Stop Plastic Pollution” puts the world’s fish at the forefront. Why was it important for you to get involved with this campaign? Florian Schneider: Taking a swim in the ocean at the coasts of Ghana, watching fishermen catch nothing but plastic garbage in their nets. Your music, and Kraftwerk’s music, has always felt forward-facing and futuristic ­– what do you think the future looks and sounds like now? Florian Schneider: Kraftwerk has become historic and is now exposed in museums. Tell me about the creative process behind “Stop Plastic Pollution”. The track includes ocean sounds, for instance – did you go to the ocean and record these? Florian Schneider: I recorded samples of real water drops in Dan Lacksman’s bathroom in Brussels. One of the drops mutates into a real tiny plastic ball. This nice idea was contributed by Uwe Schmidt from Chilé. Sorry, but the effort for recording a real ocean wave would have blown our budget, so we generated a synthetic wave. What do you think people in the creative industries can do about climate change that others can’t or won’t? Florian Schneider: Triggering awareness and conscience. Why do you think some people feel so disengaged with the realities of climate change? Florian Schneider: Maybe they ignore their own responsibility?